Microsoft is apparently more competitive than we thought. As Sony grabs headlines for its failure to keep personal details safe on PlayStation Network, Microsoft has stole itself a bit of the security failure pie, warning players of a phishing scam that's hit Modern Warfare 2. 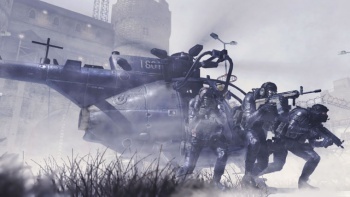 "Users may receive potential phishing attempts via title specific messaging while playing Modern Warfare 2," stated the company. "We are aware of the problem and are working to resolve the issue. We apologise for any inconvenience this may cause and thank you for your patience." Wow, Microsoft. You just can't let Sony have anything, can you? 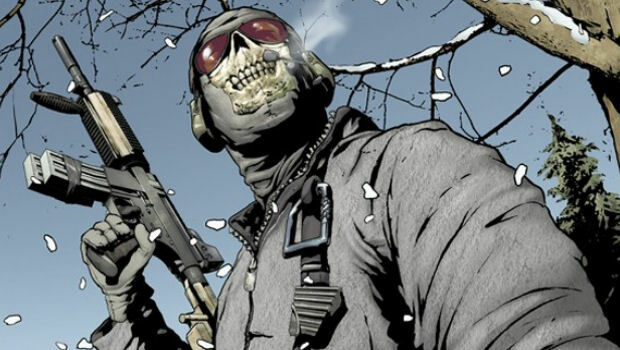 While not quite as bad a situation, those of you who still play Modern Warfare 2 should be on the lookout just in case. Of course, you shouldn't be responding to Xbox Live messages with personal information anyway, so if you have a brain, you'll be safe! Microsoft has posted a Service Alert, warning Xbox Live users that their credit cards have been compromised by hackers through a Modern Warfare 2 exploit. "Users may receive potential phishing attempts via title specific messaging while playing Modern Warfare 2," the warning reads. What Microsoft hasn't said is how to know if you've been hacked, how to prevent it from happening and why this is happening now. However, a quick glance at recent posts on the Xbox.com forum unveils statements from individual XBL users who have been attacked - some who have been hit as far back as a month ago and are still waiting for Microsoft to respond. Also, it seems Modern Warfare 2 isn't the only game that hackers are using to access user information. "I was de-ranked and my points are now in the negative in Call of Duty 4," XBL user PIOAKADRAMAFREE wrote. "I had a 55 gold cross [rank] and my score on the leaderboard was 55k. After getting hacked, I have a 1 gold cross and a negative score. The player and I exchanged private messages and within those messages he demanded that $10 be paid to him through Paypal to unhack my account." This news comes following Sony's recent announcement that 77 million Playstation Network users' accounts, including credit card information, have been accessed by cyber criminals. Internet-capable consoles have seen their fair share of exploits and hackers over the years, but mostly good things have come from these communities: doing crazy things in Linux-enabled PS3s, making homebrew games for the Wii and letting PSP users get rid of their discs and run their PS1 games before Sony did. However, this past week suggests a much darker presence that hackers can have on console gaming. Xbox Live has seen its fair share of phishing scams in the past, but these attempts relied on pretending to be Xbox support and tricking users into giving their information through email. These recent Call of Duty cyber-attacks are the first time users have had their information accessed in-game, via hackers' modded Xbox 360s. wow, would it be surprising if its the same people? I actually lol'd when i read this because all the people being like Im so glad I have Live right now. Ironic right? Lol, yeah pretty much, so now we will start reading the, "at least the whole thing didn't get hacked" posts, and "nobody even plays mw2." Kinda sad that people refuse to see the facts of a situation and defend some things to the death.. I doubt it's a "hack". It's probably dumb kids. But if it is, Infinity Ward is also partial to blame. It "takes aim at user's credit cards" by asking them to pay to "unhack" their accounts, not forcibly stealing information. Poor, sensationalist title that is essentially irrelevant and misleading. Last edited by Scorpus; 04-28-2011 at 03:10 AM.